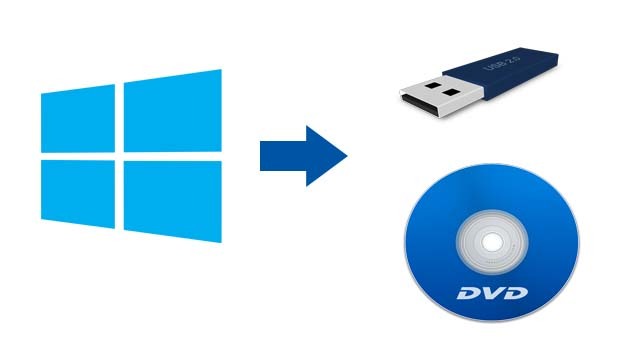 Windows USB DVD Tool free download for creating bootable USB drive or DVD from windows ISO image file. Download Microsoft Windows USB/DVD download tool for Windows 7, 8, 10. This tool allows you to create a copy of your Windows 7/8/10 ISO file on a USB flash drive or a DVD. 1. Run the setup file of this tool. 2. Once it is installed, click the Windows START button, and click WINDOWS USB/DVD DOWNLOAD TOOL in the ALL PROGRAMS list to open the Tool. 3. In the SOURCE FILE box, click BROWSE and select the file from the OPEN dialog box. Click NEXT. 4. Select USB DEVICE to create a copy on a USB flash drive or select DVD disk to create a copy on a DVD disk. 5. If you are copying the file to a USB flash drive, select your USB device in the drop-down list and click BEGIN COPYING. If you are copying the file up to a DVD, click BEGIN BURNING.